Crafted from smooth leather with an off-white suede toe and heel panel, these white 'Ziggy' trainers feature a 'Swirl' zig-zag stitch detail on both sides. 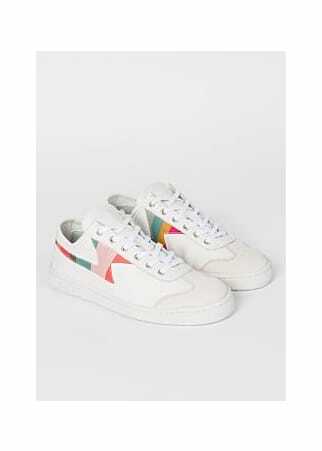 These trainers come complete with lightweight, textured rubber cupsoles with an embossed 'Paul Smith' logo. Smooth leather lining.